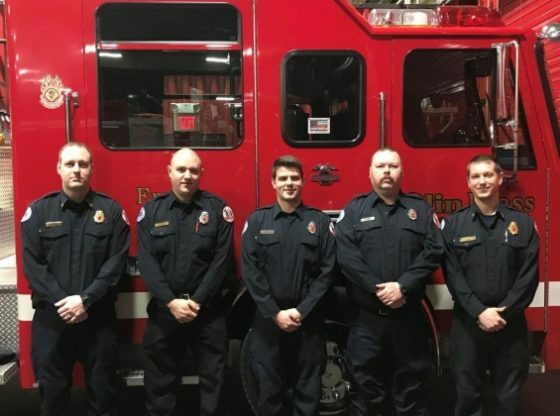 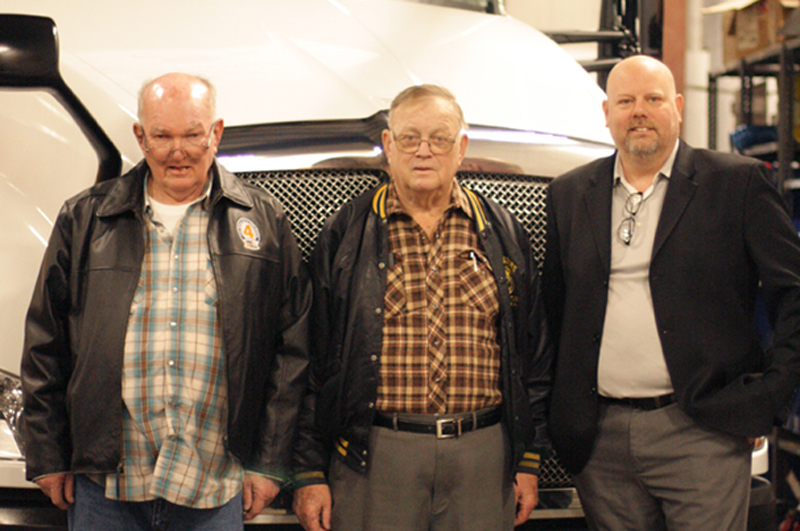 In an era where distracted driving constantly threatens safety on the roads, it is always an important accomplishment when our Teamster brothers and sisters reach a milestone for safe driving. 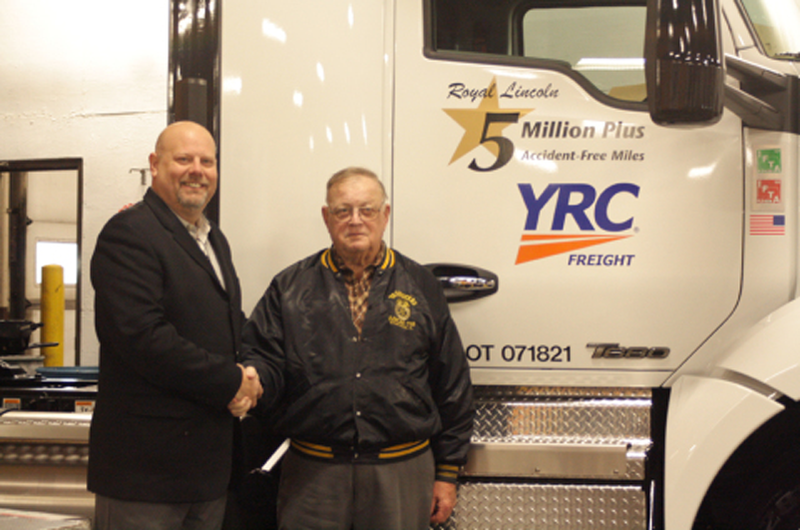 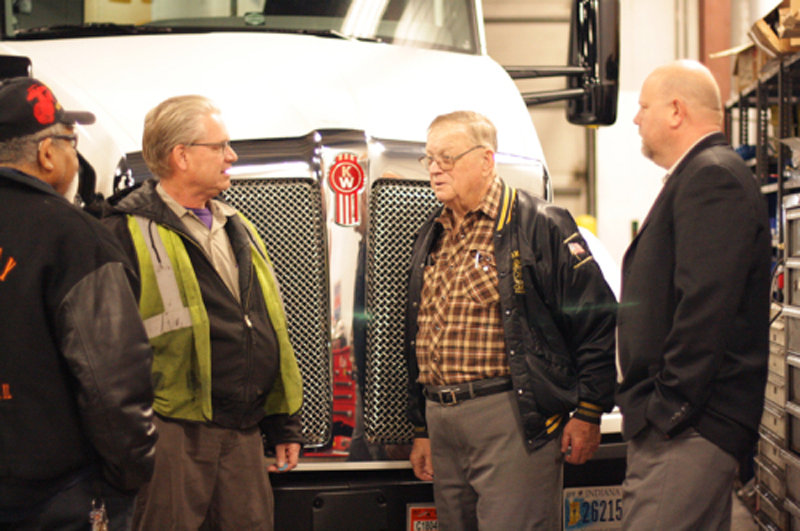 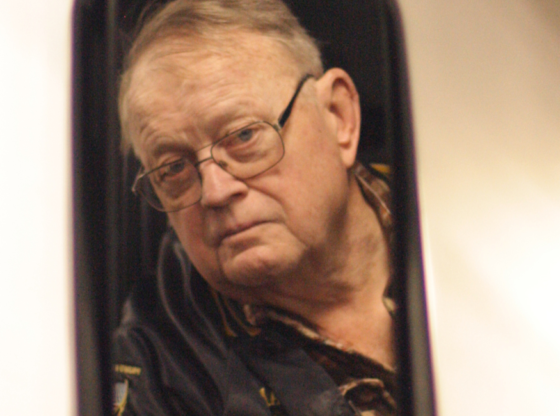 Roy Lincoln, a 47-year road driver out of YRC Freight in Chicago Heights, Ill. has gone above and beyond in his own safe driving accomplishment: 5-million accident-free miles driven. 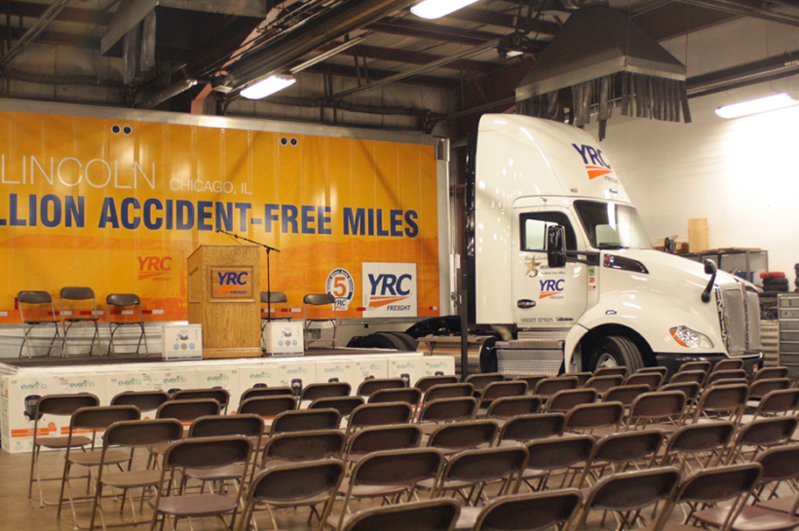 To put that number into perspective, that’s like driving to the moon and back more than ten times. 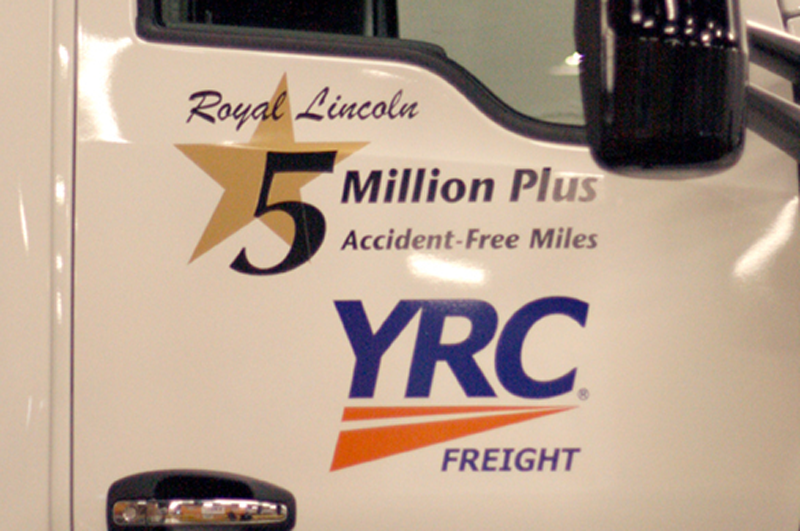 Lincoln is only the third driver in the entire YRC organization to reach this milestone. 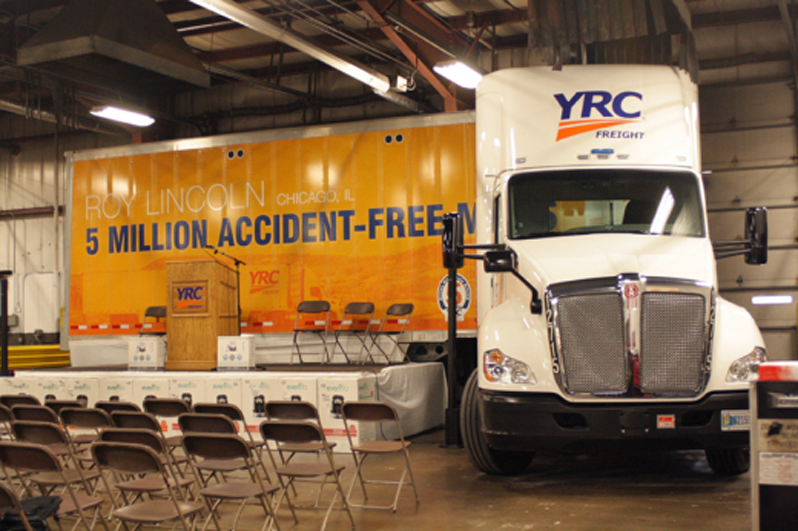 Lincoln was honored at a ceremony yesterday at the terminal surrounded by fellow Teamsters and supporters. 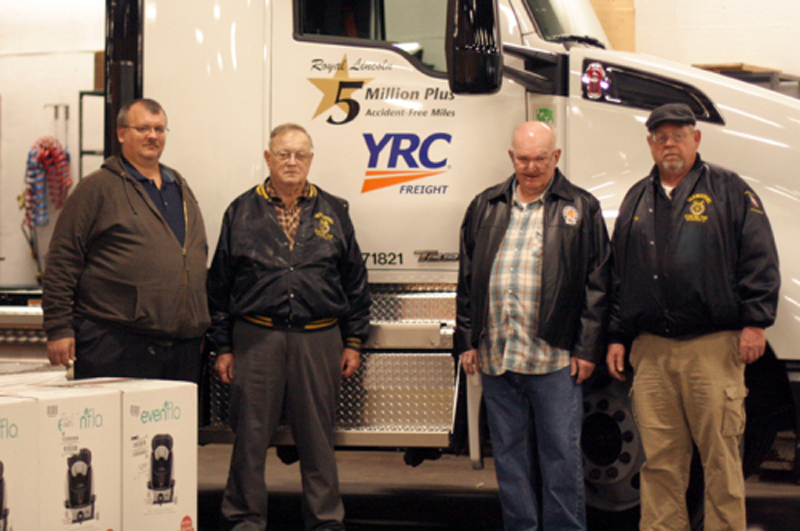 Leaders from YRC spoke to Roy’s achievement, along with IBT Central Region Freight Coordinator Michael Hienton, who presented a letter and signed tractor-trailer model from General President James P. Hoffa. 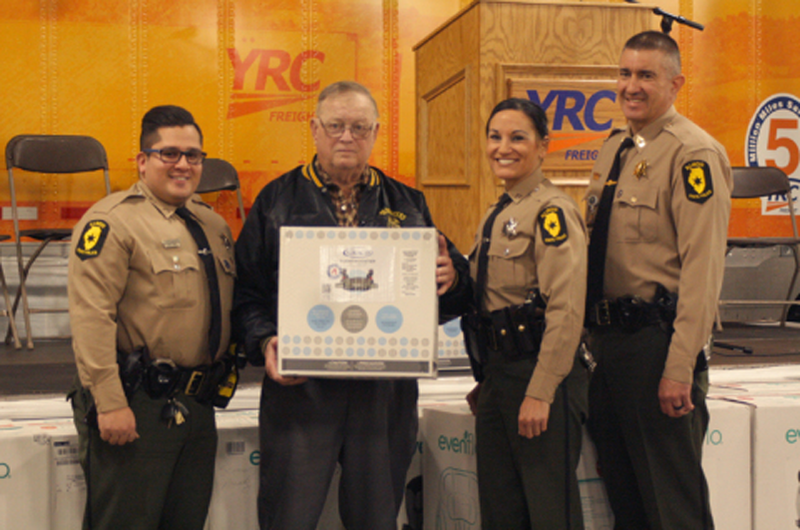 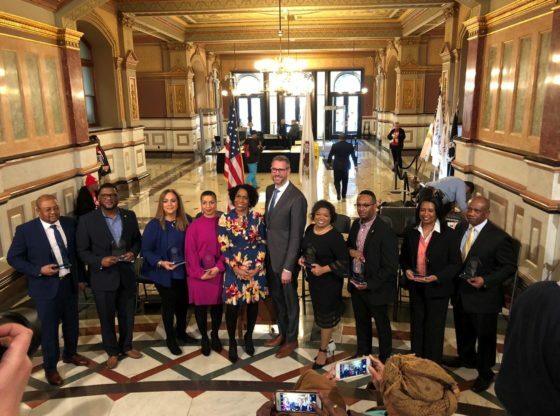 In honor of reaching this milestone, one car seat was donated to the Illinois State Police Department for every 100,000 miles Lincoln has driven – That means 50 families in the state will receive a car seat on his behalf. 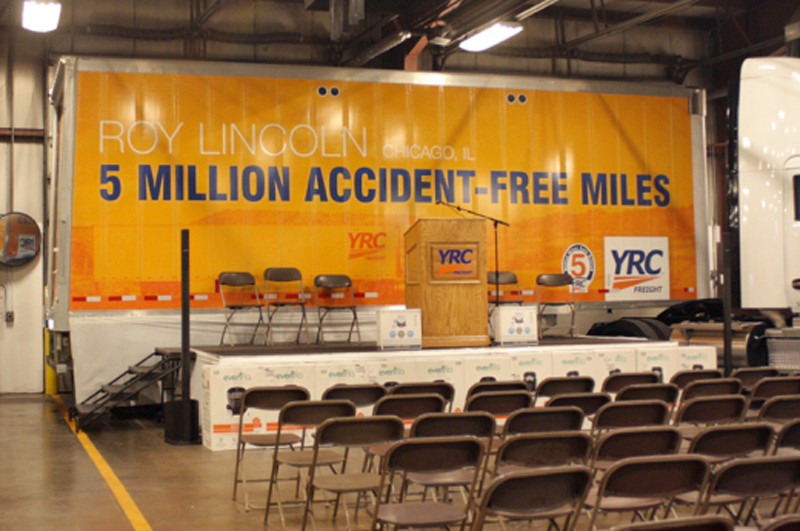 Lincoln is joined by three more drivers at the Chicago Heights barn who have reached 4-million accident-free miles: Jim Banner, Stanley Collins, and Rich Allee, who is a close friend of Lincoln’s. 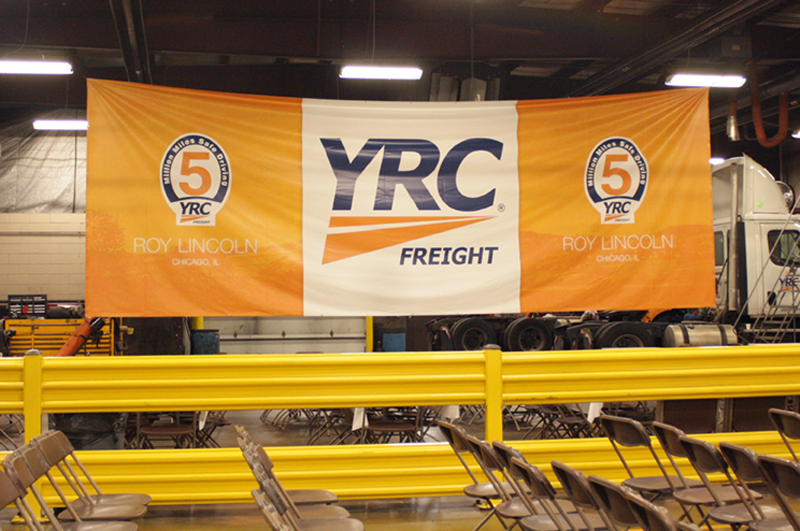 There are only 28 drivers throughout the YRC organization that have reached the 4-million milestone. 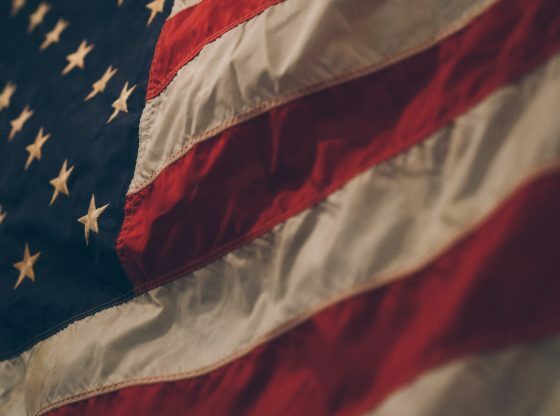 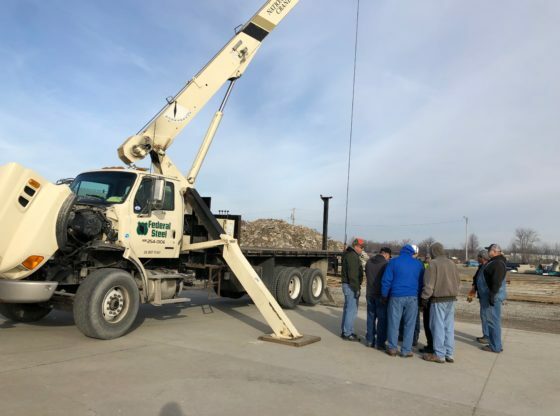 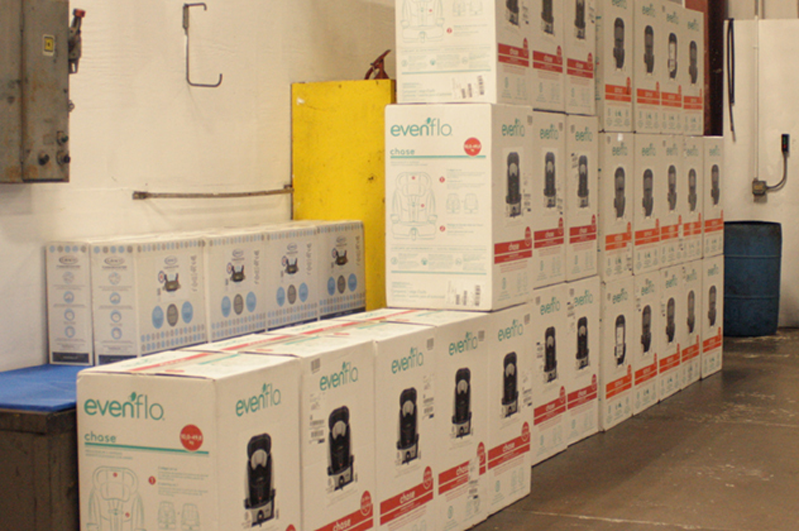 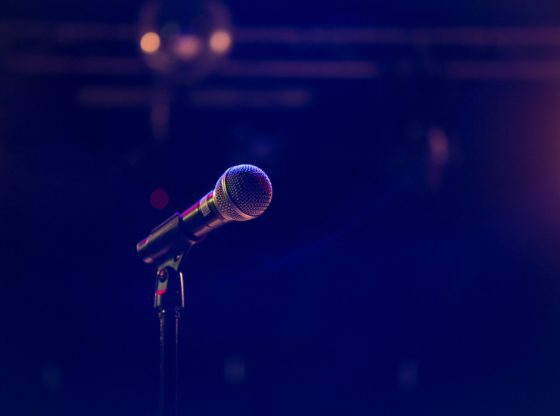 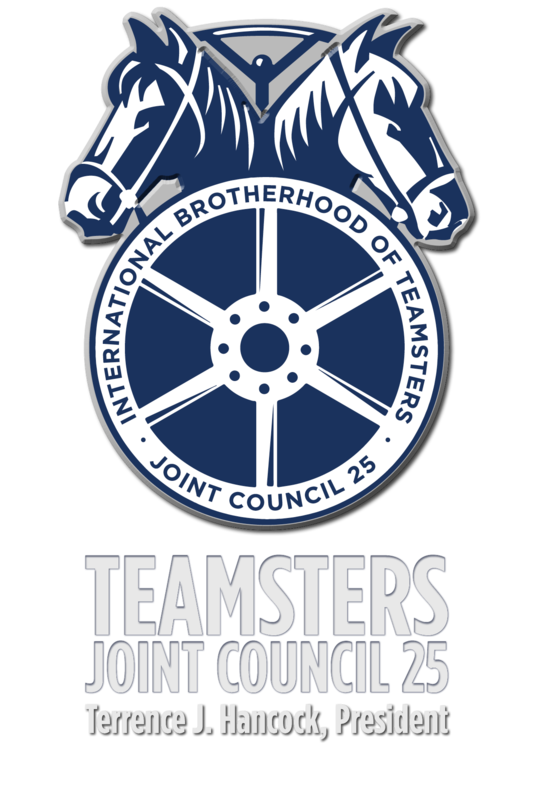 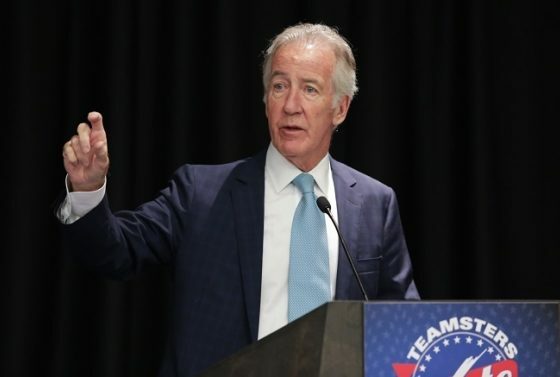 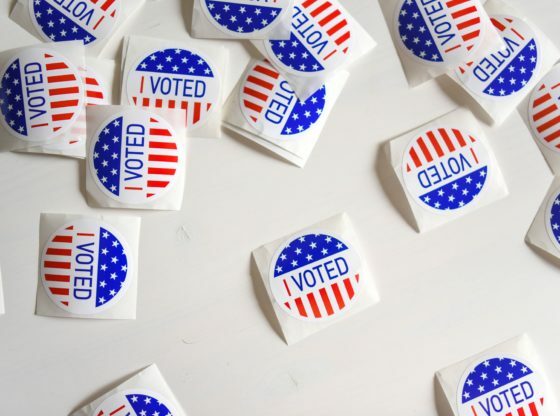 Teamsters Local 710 serves members across the entire Midwest and is an affiliate of Teamsters Joint Council 25, America’s premier labor union for Chicago, Illinois and Northwest Indiana.